While we do expert witness and litigation consulting, litigation should only be used as a last resort in settling disputes. Most often litigation is expensive, time consuming and emotionally stressful for the plaintiff, more often arbitration or mediation will lead to a satisfactory conclusion much quicker and with less stress and expense to the parties involved. Before you consider a full-scale legal action, there are alternative dispute resolution forums available to you. 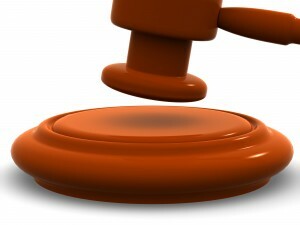 They include utilizing either arbitration or mediation. Mediation is a process of the parties making a decision between themselves utilizing the services of an impartial trained mediator. The mediation setting is informal and both sides are permitted opportunity to express both their factual position as well as their emotional feelings on the matter. It is an efficient and usually inexpensive process. As with arbitration, is it recommended that you engage the services of someone familiar with real estate and inspection issue’s. We can help you locate mediator’s who are familiar with inspection and consumer issues. Engaging an arbitrator is similar to having a judge, although the arbitrator may be an experienced trained layperson. After hearing both sides, the arbitrator makes a decision in the matter. Arbitration, like mediation, can be binding or non-binding. This is determined by the parties involved. It is recommended that you engage the services of someone familiar with real estate and inspection issues. In some cases, your contract with the inspector may require you to arbitrate any dispute that cannot be resolved. The contract may also stipulate an arbitration service provider that specialized in construction and inspection issues to better serve both parties. We can help you locate arbitrators who are familiar with inspection and consumer issues. Sometimes, despite your best efforts, it all goes wrong, and you have no choice but to try and get help from the legal system. In California, the “legal system” includes a small claims court; an alternative designed to produce faster judgments at a reduced expense. Small claims court is designed to help people recover money, while arbitration or courts of greater jurisdiction are better alternatives for more complex problems. The amount of money that you can collect in California small-claims court is limited to $5000. Suing in small claims court in not a complicated procedure, and the whole process, from starting your lawsuit to collecting your judgment, might take only a few weeks. Please note that procedures may vary from county to county. Contact your local Small Claims Court for more information. 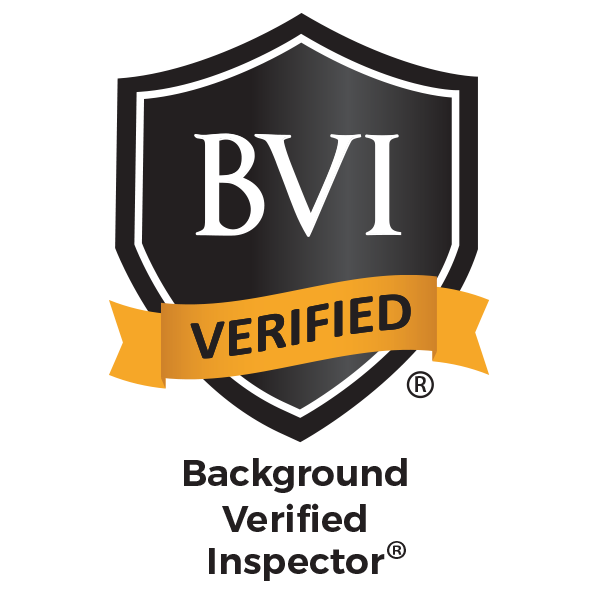 In the unfortunate event that your dispute rises to the level of a full court action, you (and your attorney) will probably be in need of expert witnesses who can testify as to the standards of practice for inspectors and to comment on the performance of the inspection in dispute. We offer an Expert Witness service for Litigation, Insurance and the Construction Industry. 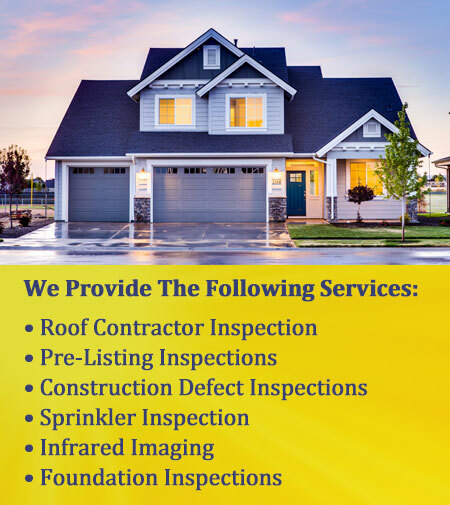 We are currently offering this service in the following areas: Home Inspections, Tile Roofing and Construction related Moisture Issues. We can assist in finding research resources, pointing out false or weak assumptions provided by other experts, identifying investigative leads and performing any analytical procedures to prepare your case. We will work to begin immediately preserving and documenting evidence with digital photographs, testing or any measurements we feel necessary to preserve the facts in the case. We understand the difference between acting as a consultant and becoming a testifying expert. As testifying experts, any written information can be discoverable and we try to take any precautions to avoid misleading statements. We will help in understanding both the strengths and weaknesses in the case. Remember, many qualified expert witnesses can have different opinions. We can help to point out those differences so that there is not unwarranted confidence in our opinions. It is always better to know the weaknesses of your case before it is in the courtroom. If your case must proceed to the trial stage, we can assist in locating corroborative data, which can support our opinions. We have resources of information concerning construction defects, environmental hazards, building codes and excerpts from building, environmental and health journals. All of the above information helps us in becoming an advocate as opposed to simply an unbiased expert whose opinion happens to favor you or your client. We look over each case carefully to assure that the project we are hired to work on is within the boundaries of our expertise. If we should require outside assistance, we will promptly indicate that and provide potential candidates that we have worked with on other projects or we know to have good reputations and excellent credentials. If arbitration or mediation is an option, we will act as an impartial third party to view the evidence and aid in the resolution of the case.